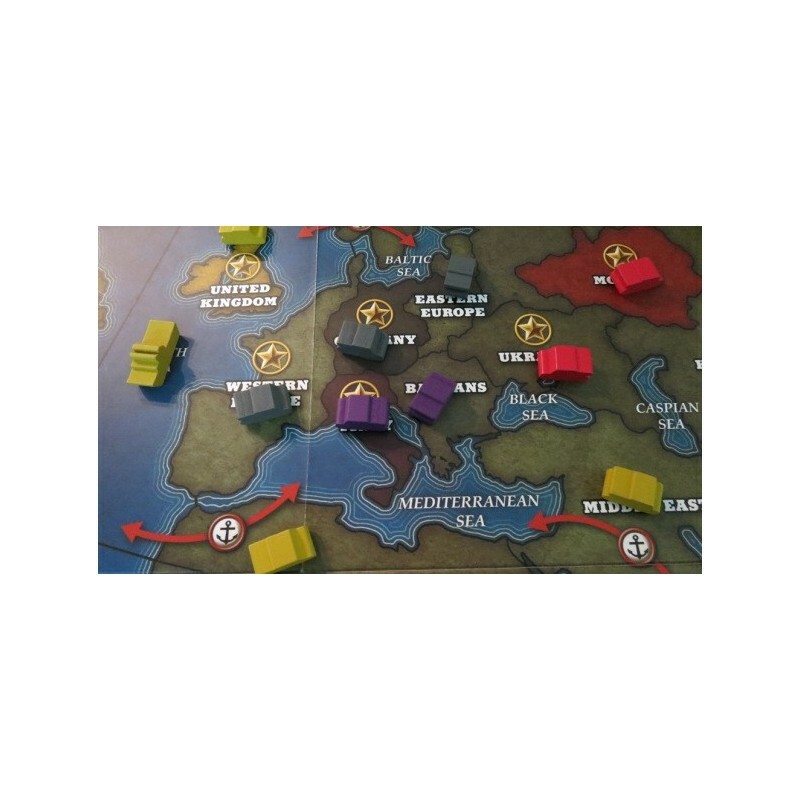 You earn Victory Points by occupying the starred Supply Spaces, or as indicated on the cards. 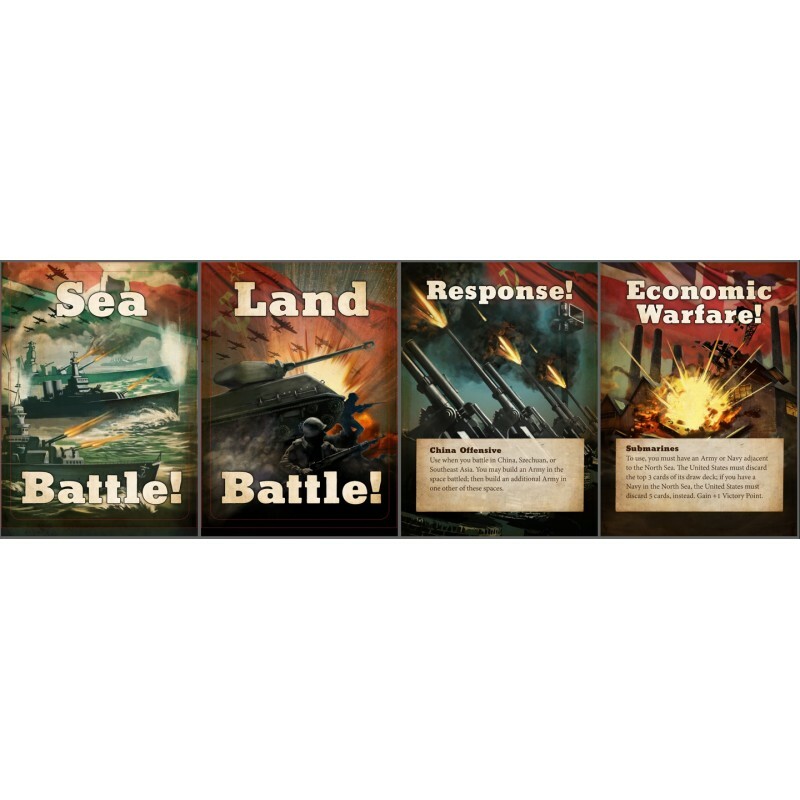 Each major power has a unique set of strikingly illustrated cards with which to marshal their forces, represented by wooden army and navy pieces. 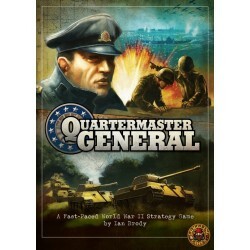 Quartermaster General is simple to learn and quick to setup - but difficult to master. Each game plays differently, ensuring superior replayability! Card driven action combined with traditional map based gameplay make this a thrilling new take in the WWII action/strategy genre suitable for veteran wargamers and casual board gamers alike. Une synthèse réussie sur la Seconde Guerre mondiale, jouable en 2 heures, et dont la rejouabilité est assurée par un système de cartes très fin.